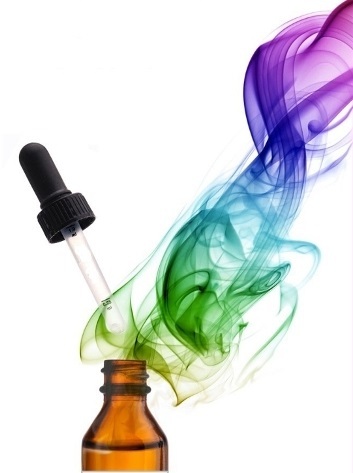 Taking a holistic view, we have introduced an elemental healing essence to complement our existing healing techniques. 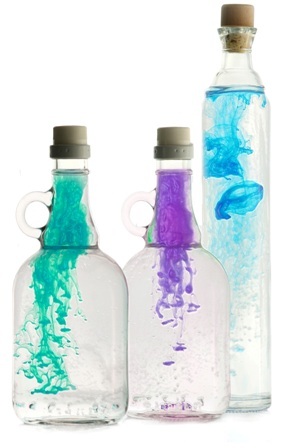 The activated elixir is based on the ancient art of Spagyrics. Spagyric is the name given to the production of herbal medicines using alchemical procedures. Traditionally, the process involved fermentation, distillation and the extraction of mineral components from the ash of a plant. It was developed from the techniques of medieval alchemy. Spagyric is the herbal, healing application of alchemy and is delivered via what we interpret as an elemental healing essence. It's based on the work of the great 16th century healer, Paracelsus (1493–1541). What an amazing man he was. It was his work that provided the foundation for herbal treatments today, including homeopathy developed by Samuel Hahnemann (1755–1843). 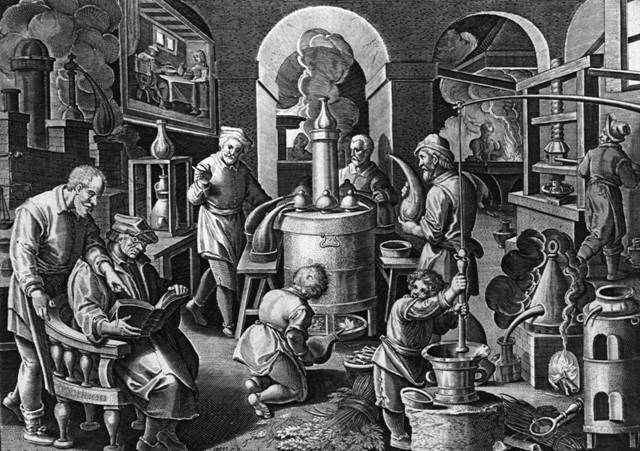 Alchemists using fire in the distillation process, circa 1550. Original Artist: Stradamus. Photograph by Hulton Archive/Getty Images. What is poison, What is remedy? Poison is in everything, and nothing is without poison. The dosage makes it either a poison or a remedy. 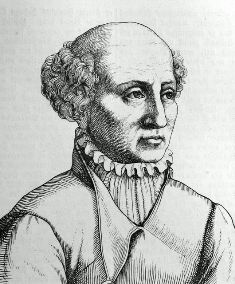 Paracelsus worked with the classical procedures and processes of Alchemy. As a healer, he sought to apply those processes to plant work for the creation of medicines. In combining his knowledge from Alchemy and healing, Paracelsus created a new way of working, which he called Spagyric. He coined this word from two root words, meaning “separate” and “recombine”. In the lab, the process is just that; the separation of the subtle and physical aspects of the plant, their purification and refinement, and their recombination. This rejoining brings the plant together again as a living whole, but elevated from its original state. This equal emphasis on wholeness and refinement is unique to spagyric alchemy in combining the elemental essence. Paracelsus had a very sophisticated view of the subtle inner makeup of plants and people. In his laboratory and healing practice, Paracelsus studied and wrote about plants’ chemical constituents, but he also studied their energetic and subtle properties. He understood that the physical properties of healing herbs, such as immune support or relaxant effects, were manifestations through those plants of the life force of Nature. Perhaps the most useful healing insight he gave is that illnesses may be most apparent on the physical level, but that does not mean they originated there. The energetic body and even the eternal soul aspect can be the source of imbalance, and all levels can create and manifest imbalance, which can then travel to any other level. This is what we have come to understand from our work in energy healing. The energy of a living plant. We have introduced an elemental healing essence to complement our existing energy based techniques. Rather than incorporating the essence of the physical plant, we are introducing the energetic essence of a living plant. That is to say, we are not fermenting or distilling physical components, but tapping into the energetic, life force, essence. Every person has unique needs as to their healing journey. And when we speak of healing, it could mean physical healing, emotional or spiritual. Usually it's a combination of all the above within a lifelong journey. When we are working with a client, particular energy frequencies are generated or transferred, to meet the unique needs of that person...and the possible combination of those healing frequencies is infinite. All well and good, with great results achieved. But how can we continue or enhance that healing process for those who need it? One of the ways to continue the healing, and indeed promote self healing, is to get back to nature. Practically every client we see is disconnected from the energy of Mother Earth to some extent. That's just the way it is with our modern lifestyle. What we fail to recognise is the powerful healing benefit of nature which is free to everyone. Herbal medicines and crystal therapy are just two obvious examples of tapping into natural healing. With our elemental healing essence, we can incorporate multiple aspects of healing by nature. 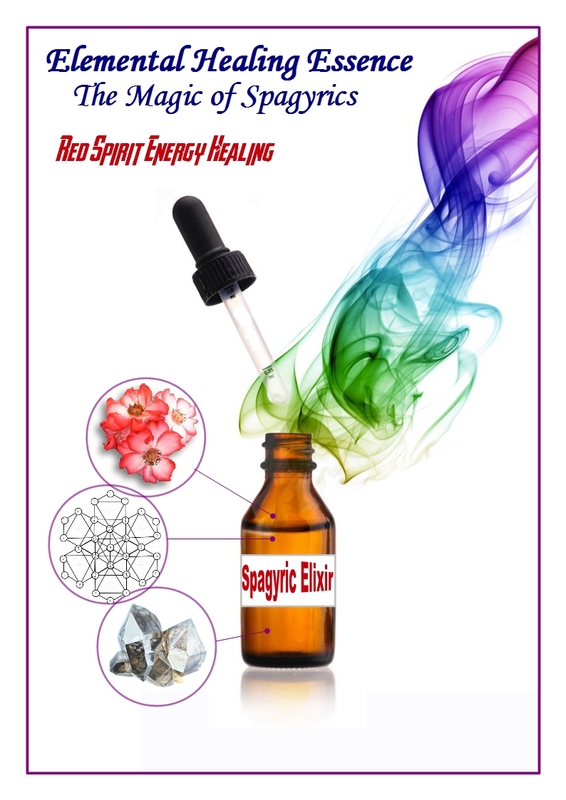 The key components of the essence includes a programmed crystal, and the energy or life force from a living plant, which could be a flowering plant or tree. The selection of each component depends on the needs of the client and what we are guided to offer; there may well be other inclusions. We also recommend a Daily Energy Management Exercise to complement the elixir for optimal results. After all, we are talking about energy, and as previously mentioned most people are disconnected from natural life sources to some extent. A crystal in a foundation solution of alcohol and pure water, is energised with the life force essence of a selected plant using sacred geometry. 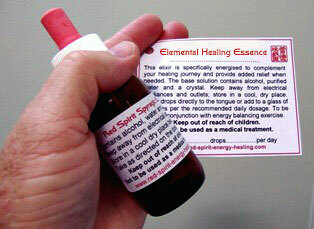 To produce any elemental healing essence, we choose a suitable crystal and incorporate it into a healing session. The crystal then becomes attuned with the unique frequencies needed by the client to act as a carrier and amplifier. Placing the crystal in a foundation solution of alcohol and pure water, it is then energised with the life force essence of a selected plant. This foundation must then be activated using sacred geometry. The final product is an elemental healing essence or elixir, that holds the vibrations of nature and healing for the individual needs of the client. This is not a one size fits all. The essence is taken orally as drops on the tongue, or diluted in a glass of water. The dosage is again dependant on needs. A 25 ml bottle of essence will last over 3 months depending on dosage. Note: the essence must be stored away from electrical outlets and appliances. (2 metres should be sufficient) For the current price of our Elemental Healing Essence please refer to our fees schedule. A 25 ml bottle of essence can last over 3 months. At this point in time our programmed Essence is only offered to clients who have had at least one healing session with us. The session can be face-to-face or distant healing. Ideally, three healing sessions are always recommended, in which case the essence crystal would be energised during the second session. The final activated essence would then be ready for the client to take away on the day of the third session. However, we recognise this not in an ideal world, and although it can take up to 3 days to activate the essence, we have developed a technique for emergency activation for clients needing more rapid intervention. Who'd benefit from this Healing Essence? Again I have to say that our Essence is not a one size fits all. At this point in time, it is specifically formulated to meet your personal needs...and remember, your needs change. We are working on more broader use essence and different carriers, but this takes time to develop with integrity. This healing essence does contain alcohol as do most homeopathic remedies. With regards to clients outside of Australia, it is your responsibility to check on customs requirements and international laws before we can send any solutions overseas. Please check back regularly for updates. Direct any enquiries to Mark. Important Health Note: Elemental Healing Essence is not designed as a medical treatment nor is it a substitute for any prescription medication. Any individual who has a specific health problem or who is taking medications must always seek advice from his or her personal physician or health-care provider. Important Customs/Import Note: Please note that customs and import policies in some countries prohibit the importing of herbal remedies and homeopathic products for personal use. It is your (the customers) sole responsibility to check with their own country's import policies before placing your order. Should your order be held or seized by customs then you will not be eligible for a refund and additional customs charges are the responsibility of you, the customer. A 25 ml bottle contains approx. 6 ml of alcohol.